The development of better medicine begins with better disease models. By bringing the native in-vivo environment to the in-vitro setting, Xylyx Bio’s tissue-specific substrates support cell culture models that are significantly more predictive of human physiology, thus facilitating acceleration of drug discovery and development. Cell culture substrates like collagen type I gels, tumor-derived basement membrane extracts, and synthetic materials lack physiologic relevance. Conducting studies with cell culture substrates derived from disease-associated sources reduces translatability to clinical applications. Culturing cells in non-physiologic substrates leads to artificial test results that do not accurately reflect human physiology. Variations in the concentrations of potent growth factors between lots reduces consistency and comprises the reproducibility of results. Xylyx Bio tissue-specific ECM substrates contain the full milieu of proteins and growth factors present in the native environment of the cell type of interest. 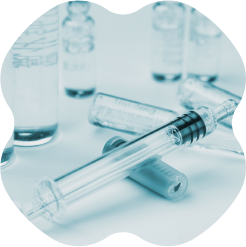 Our products facilitate downstream clinical translation because they contain tissue-specific extracellular matrix from ethically-sourced healthy porcine or human tissues. 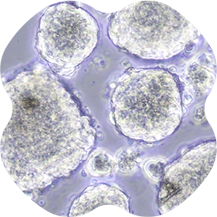 Xylyx Bio ECM substrates provide ideal conditions for maintaining cell phenotype, leading to enhanced in-vitro models and more accurate and physiologically relevant results. Our tissue-specific ECM products demonstrate consistent composition profiles across different lots, resulting in standardized experiments and reproducible results. The extracellular matrix (ECM) plays a pivotal role in the regulation of cell fate and function and is highly specific to each organ. Our goal at Xylyx Bio is to make commercially available a suite of extracellular matrix substrates for enhancing 2D and 3D cell culture. We have demonstrated that culturing cells in their endogenous cell-specific ECM results in superior cell performance in-vitro. NativeCoat™ and TissueSpec® ECM substrates contain the suite of natural adhesion and signaling factors present in the native tissue matrix and offer your cells physiological features found in natural organs. The products can also be used as matrix bioactives to be incorporated into other substrates, organs-on-a-chip, bioinks, and more to bring greater physiologic relevance to any in vitro model. Culture your cells on the surface or within our TissueSpec® ECM hydrogels to bring the complete, endogenous ECM environment into your in vitro setting. Our tissue-specific ECM substrates enhance research across multiple research areas. 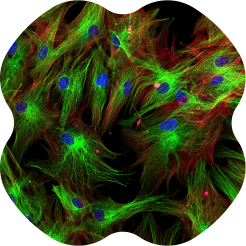 TissueSpec® ECM Hydrogels and Scaffolds are ideal for 3D cell culture and offer cells the natural three-dimensional microenvironment they need to grow and function. TissueSpec® ECM Hydrogels offer softer 3D cell culture substrates comprised of collagens and other ECM molecules of native origin. Some structural characteristics of the native ECM are retained in TissueSpec® ECM Hydrogels. TissueSpec® ECM Scaffolds provide native 3D matrix structure, architecture, and stiffness. The biophysical cues of the extracellular environment provided by TissueSpec® ECM products can help to regulate natural cell growth and proliferation in 3D cell culture. 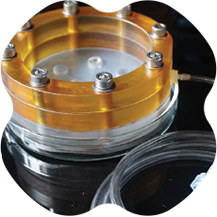 TissueSpec® products have applications in cell culture, organoid culture, in vivo therapeutic delivery, drug discovery and development, toxicity testing, and more. As proliferation rates are typically slower in TissueSpec® ECM products, cells can be cultured for longer periods of time without requiring passaging or sub-culture, thereby enabling longer-term studies without overgrowth and disruption by trypsinization in order to passage. Traditional 2D tissue culture methods have many limitations as a model for cancer research – the physical environment is dramatically different from a tumor in vivo, cancer cells are grown in isolation and are artificially polarized. Recreation of the tumor microenvironment including tumor-stromal interaction, cell-cell adhesion and cell signaling is essential in cancer research. 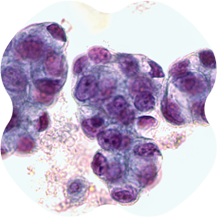 Xylyx Bio TissueSpec® 3D cell culture products have a unique, tissue-specific composition and provide cells with key extracellular features of the tumor or metastatic microenvironments (such as bone, liver, and lung). TissueSpec® products offer greater control and reproducibility over the tumor microenvironment in vitro and represent the best platform to study carcinogenesis, migration, and metastasis or test therapeutic interventions in tissue-specific native ECM environment. TissueSpec® and NativeCoat™ matrix products offer stem cells a high-fidelity niche by providing the biophysical features and soluble factors inherent to native tissues. Unlike other stem cell culture systems, our products do not rely on synthetic growth factors and support the physiological cell-cell and cell-matrix interactions that regulate maintenance, proliferation, migration, and differentiation. Xylyx Bio products are natural, physiological biomaterials that support cell attachment, differentiation, and organization for engineering functional tissue constructs. TissueSpec® ECM products are ideal biological scaffolds for tissue engineering and the study of regeneration. TissueSpec® ECM Scaffolds are applied in 3D cell culture or tissue engineering to study the effects of native tissue mechanics on the differentiation or migration of cells. Xylyx Bio clinical development pipeline is dedicated to addressing unmet needs in medicine and surgery through the development of novel extracellular matrix products including surgical bio-sealants and bioengineered grafts as well as devices for therapeutic drug and cell delivery. The high failure rate in drug development may be attributed to testing drugs using inaccurate models. 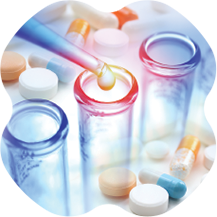 A central focus of drug discovery is the incorporation of in vitro models that can recreate in vivo conditions. Tissue-specific ECM substrates provide greater physiological relevance and therefore offer a more predictive in vitro testing platform. 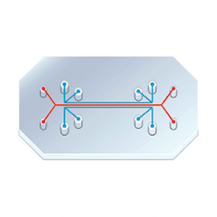 TissueSpec® and NativeCoat™ ECM substrates are used in organ-on-a-chip or other microfluidic platforms in order to better mimic the physical microenvironment of living organs and support the survival and growth of different cell types. 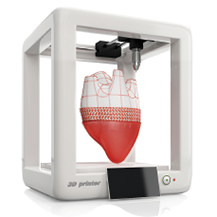 Xylyx Bio is expanding the field of 3D bioprinting through the development of native matrix bio-ink as a way to create high resolution biomimetic 3D environments. Learn more about our tissue-specific extracellular matrix substrates for cell culture. Tissue-specific ECMs are a series of native extracellular matrix (ECM) products derived from a variety of natural organs and optimized for ease of use in research. Extracellular matrix is isolated directly from natural organs like bone, heart, liver, and lung and processed into multiple product formats for use in cell and tissue culture studies. What are the advantages of culturing my cells with tissue-specific ECM substrates? Tissue-specific ECM substrates provide your cells a host of native, bioactive micro-environmental factors not present in other cell culture substrates. Unlike tumor basement membrane extracts, tissue-specific ECM products do not contain any exogenous growth factors. What is the source of organs used to derive tissue-specific ECM products? Tissue-specific ECM products are derived from natural organs of porcine origin. Xylyx Bio also offers custom matrix products derived from alternative sources (e.g., human, bovine). What is the TissueSpec® ECM Scaffold substrate? TissueSpec® ECM Scaffolds are acellular tissue sections that retain the matrix architecture and ultrastructural properties of the original tissue.